Jonathan Siegrist knows how to train hard. He has sent 140+ routes 5.14a and above so clearly, his training works. 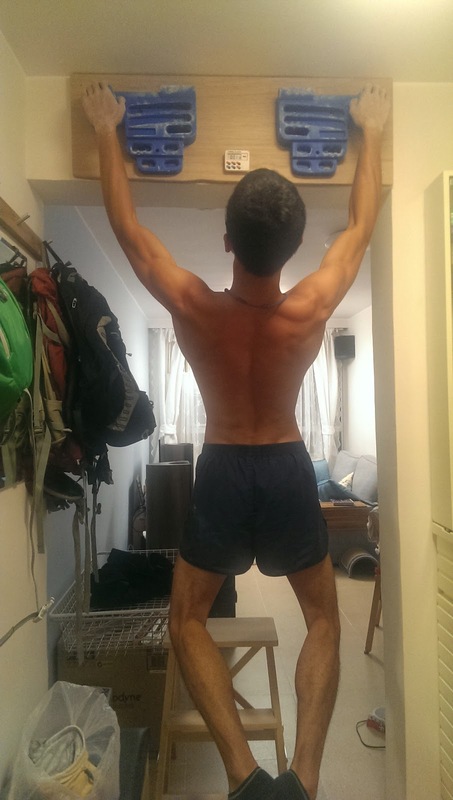 Here, he gives a review of 3 hangboards that he has spent a large amount of time training on. Thanks J-Star! In the business of grabbing rock, our fingers can never be too strong. 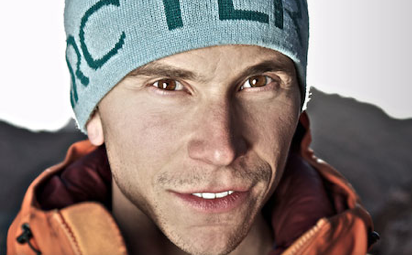 Across every outstanding climber I have ever met, the only physical attribute that they all share is strong fingers. The bottom line is that the majority of hard climbing involves poor holds, and weak fingers are not good at grabbing. In some instances you may be able to compensate with body tension or big muscle strength but weak fingers will always hold you back. Hangboarding is the proven, best method for improving finger strength. Think of it as weightlifting for your fingers and although other devices and methods can also help – a worthy fingerboard is a key component to any finger training program. One of the huge benefits of hangboarding is that setting one up at your home or office can be super easy, and many workouts do not require a huge stretch of time. The basic idea is that you are hanging on different grips, using different grip positions and using your body weight (or in some advanced methods adding and/or subtracting weight) to stress the forearm muscles and thus build finger strength. 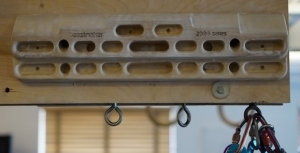 What I look for in a hangboard is pretty simple. 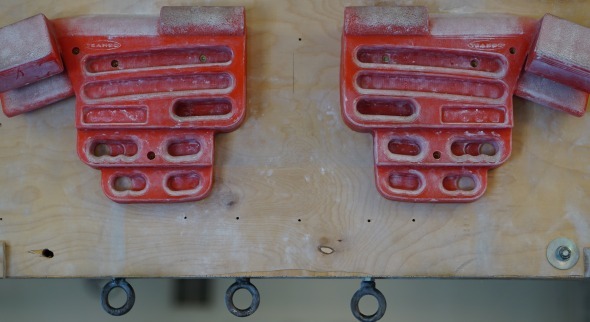 I want a board that has bad holds – the point is that these holds are hard to hold onto. I want a board that has a wide variety of grips to train – not just jugs and and a novelty sloper. Lastly I want a board with good texture that I can both imagine spending hours hanging on and not ruin my skin. There are many hangboards on the market, but the majority of them would be much better off used as coat racks than for any serious training. I've chosen 3 to review that I've personally used and approve of. This is the board that I have used more than any other. I love this board. It's simple, it has bad holds, it's very easy to mount and its texture is very good. It's got a limited, but nice range of sloping pockets, some larger holds for warming up and some gnarly crimps. I actually used mine so much that I wore through the texture but it took a full season. You can buy one at moonclimbing.com here. This is really an advanced board, as I'm sure it was intended by the likes of Ben Moon. There are no 『jugs' and it really offers very few grips, period. If you're aiming to improve your shallow pocket skills or your crimping this is a killer board… if you can find it. I had to order mine from Europe. Make sure to mount your Moon board with free space directly below it so that your free fingers on the pockets are not touching the wall (see how the board has been mounted in the photo). I would mostly recommend this board to a climber with 5.13 or V8/9 abilities. The Beastmakers are pretty sick. These are made of wood, which is very friendly on the skin for long sessions or a quickie after climbing. It has a great range of pockets but only one sloping edge (which is awesome). The monos on this board are pretty nice for training and the slopers are also really well done. I really like how they shaped the board so that when you are using the pockets your free fingers are not impeded by the lower layer or the wall behind it. You can get one in the US from revolutionclimbing.com here, but they're currently sold out. While I do like the wood for the soft touch it can make adding weight a challenge. A little more texture is nice so you don't feel like you have to resist rocketing off the board with weight strapped to your body. The main thing missing from this board in my mind as I mentioned before is a couple good edges for crimping. This is a really great board for training pockets and also for someone that wants to work in a little hangboarding after their gym or outside sessions and not destroy their skin. It's also easy to mount and aesthetically pleasing as to not ruin your fancy living room decor. I'd say it's generally suitable for climbers with 5.12 and greater abilities. Kind of the holy grail as far as I'm concerned. This board was designed by Mark and Mike Anderson and they have really done a great job. This board pretty much covers every trainable grip position, including 3 different sized pinches which are fantastic. A heinous crimp edge, rounded crimps of all sizes and several 2 and 3 finger pockets. It even has full on jugs on top and a sloper rail. You can get one on FixedPin.com here. Mounting this hangboard is a little more involved than with the others, and the board is generally much bigger and certainly will not fit in where the others might. The intension of cutting the board into left and right pieces was so that the user can spread the two depending on their shoulder width. The texture on this thing is pretty serious, which is fine for the dedicated hangboarder who is not going to do much climbing before or after the work out. I actually sanded down a few of the edges slightly out of the box. Overall if you want the ability to train a wide variety of grip positions and you plan to get full-on with your hangboarding, this is the board for you, assuming you have the wall space and the motivation. Trango also offers a pulley system set-up to go along with the board for those really dedicated to their hangboarding. 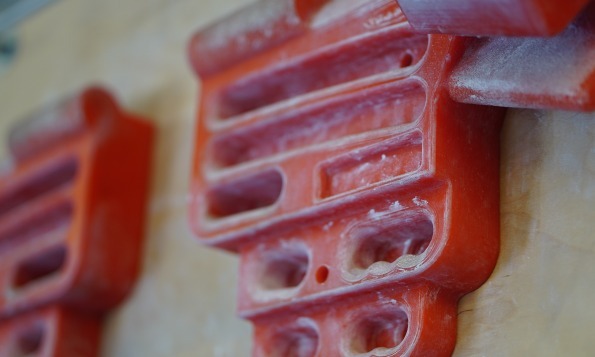 With a huge range of grips, this board is equally useful for the 5.11 climber up to the 5.14 climber. Like I said before there are plenty of boards on the market, but I only wanted to review the boards that I have actually put in some hours on. Two others to consider are the Transgression Board by Eva Lopez and the Metolius Contact Board. The Transgression Board is super straightforward, basically offering the same grip over and over in incrementally smaller sizes. A great idea but also a very limited hold type. 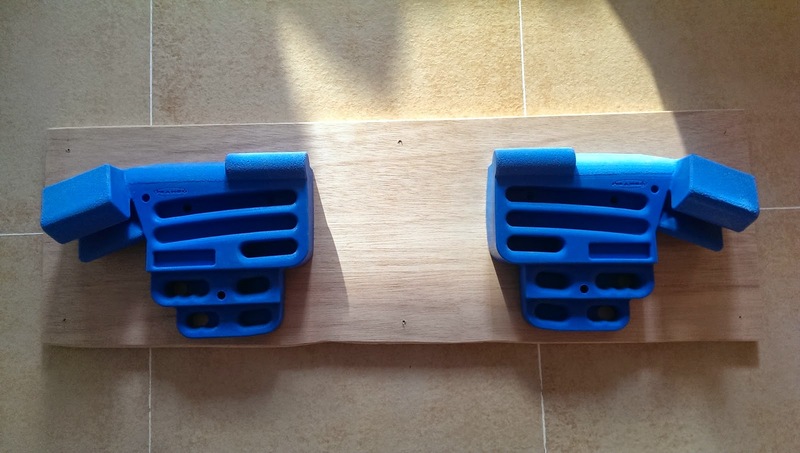 The Metolius board is an outstanding beginner board, with several sizes of 2 and 3 finger pockets and edges, but the holds are generally good (remember I'm looking for generally bad!). The bottom line is that you want the grips to be challenging! Don't be tempted by those novel shapes with comfortable slopers or mellow 2-pad edges. Contrary to what 80% of climbers out there are doing, hangboards are for hanging, not for pull ups. So buy a board that offers you a challenge even just to grab some of the holds. If you are fully stoked you can set up a pulley system and remove weight in order to hold the bad ones at first. In the end it's way better for training to have a board with awful holds. 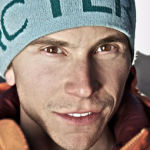 J-Star always tries hard, and ranks his climbing stoke level at extreme. He's truly grateful for every opportunity he gets to be on rock outside. Plus he's really into training indoors, which obviously works. 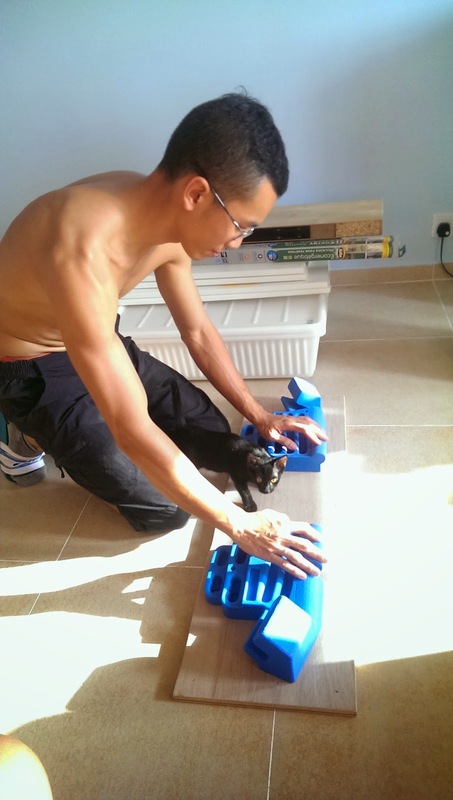 He calls his current residence 「on the move」 and if you know Jonathan, you know his awesome dog, Zeke. He's done over 140 routes rated 5.14a and above, including at least 20 5.14c's, 7 5.14d's and with his recent send of Biographie, 1 5.15a. He won a Golden Piton Award for Breakaway Success in 2009 and in 2012 for Most Productive.